The INF165C has an eight-point circle outlining the measuring spot. This ends all confusion about the target are being measured. 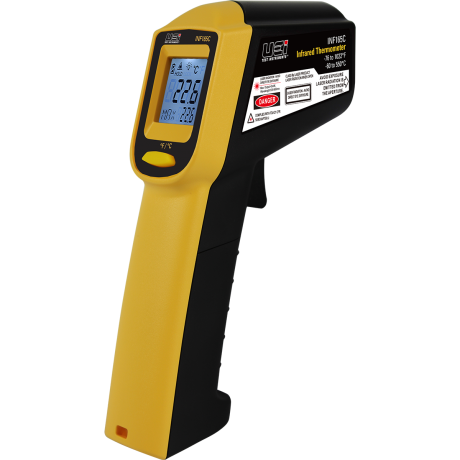 The large high-contrast backlit display makes viewing test results easy in either dark or well-lit work environments.